Is it weird that my dream house is all one room, located 45 minutes away from civilization, and has no electricity or running water? … If you answered yes, I’ll show myself the door. 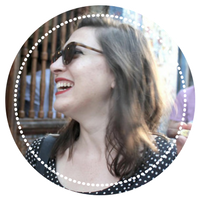 If you’re my yurt kindred spirit, this one’s for you. 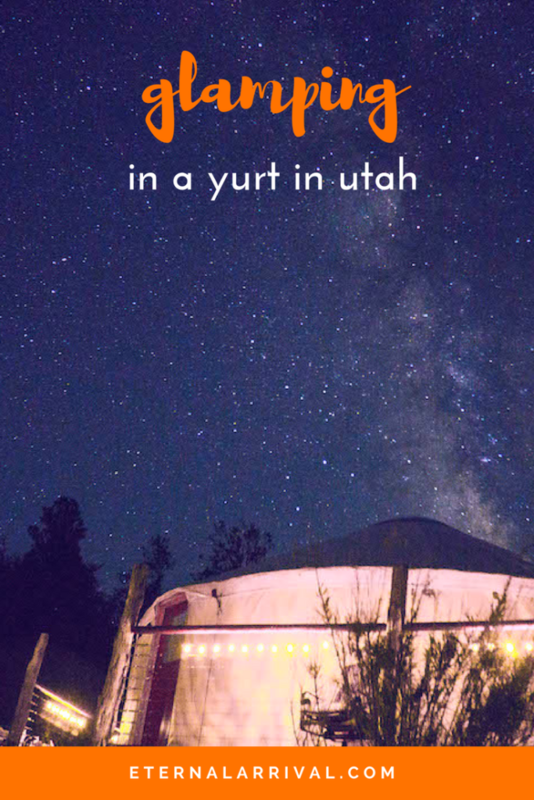 This yurt in Utah is everything I’ve been dreaming of. 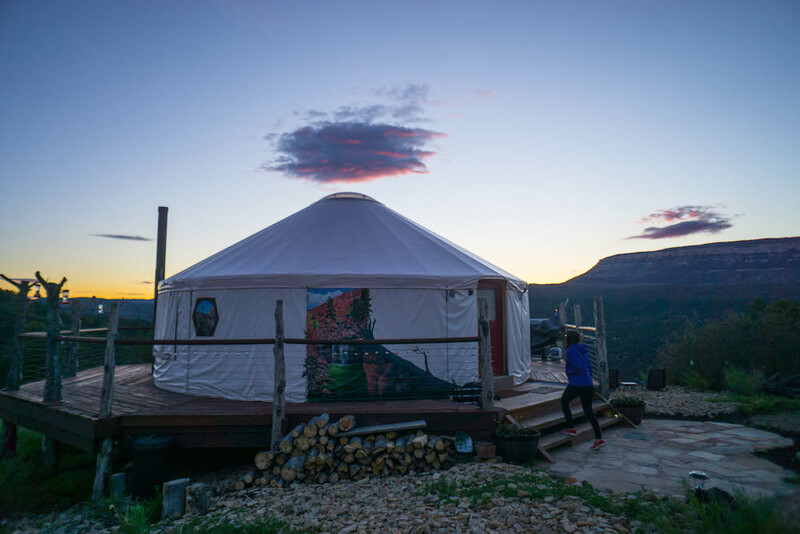 We arrived at Zion Backcountry Yurts after 45 minutes of driving away from Zion National Park in southwestern Utah. The last half hour of driving was down an unpaved road that we were warned became impassable after heavy rain. At first glance, the yurt appeared tiny, and I began to doubt the owner’s claims that it could sleep nine. 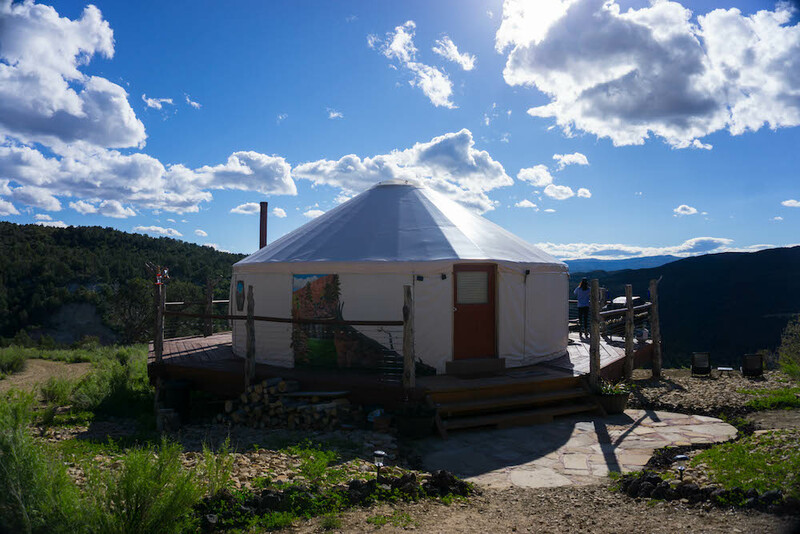 Once inside, I saw that the yurt’s circular design – which made it look so diminutive on the outside – actually made it incredibly spacious. 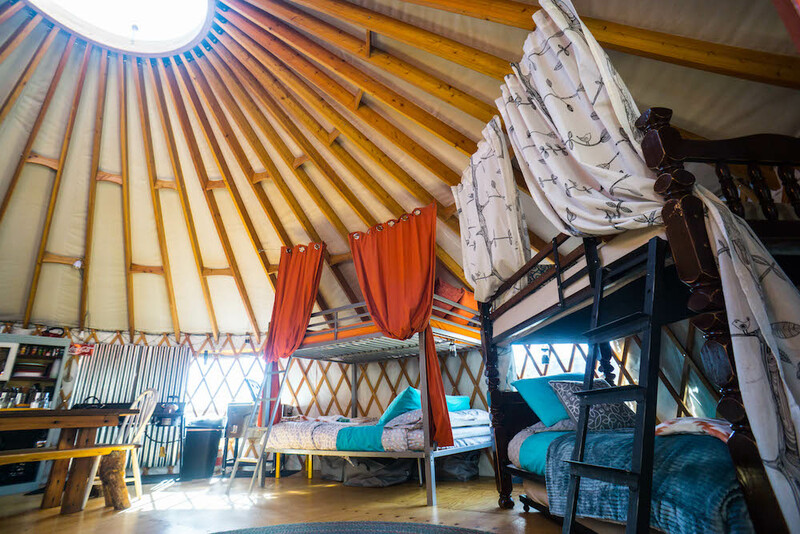 Sunlight flooded the yurt from the windows and skylight, making it seem even larger. 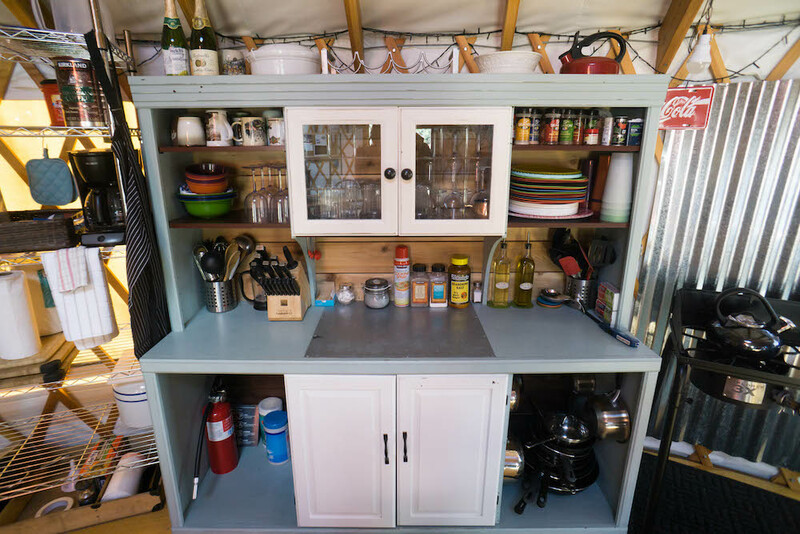 In addition to three bunk beds — which would indeed sleep nine as three were double beds — there was room for two long tables, a kitchen with three gas burners, a kitchen prep surface, a cooler, a reading nook, and a wood-fired stove. That stove wasn’t just for cozy aesthetics – though that was a nice bonus. 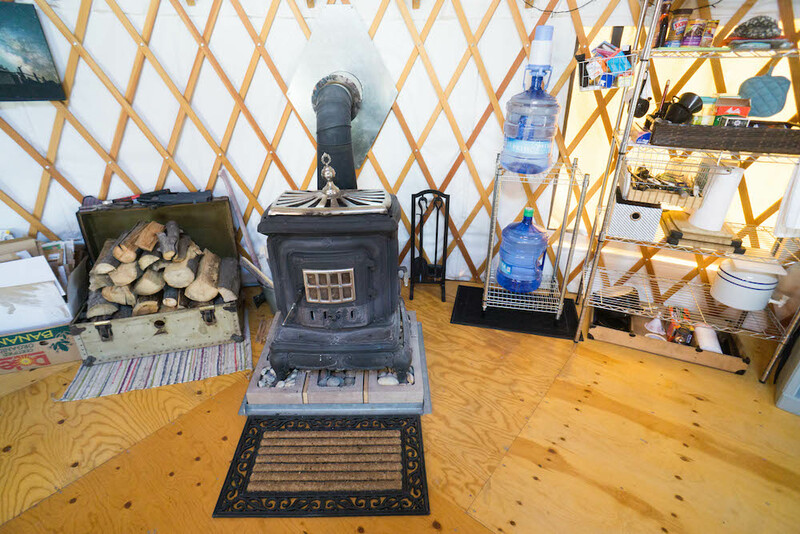 As the yurt is entirely off the grid, with zero electricity, the wood-fired stove would be our source of heat throughout the cool May nights. The cooking area was well-stocked with the necessary equipment and spices. After years of dealing with lackluster hostel kitchens, I truly appreciated how everything you needed to cook a great meal was provided. There was free coffee and tea, perfect as your nearest coffee shop is a good hour away at best. 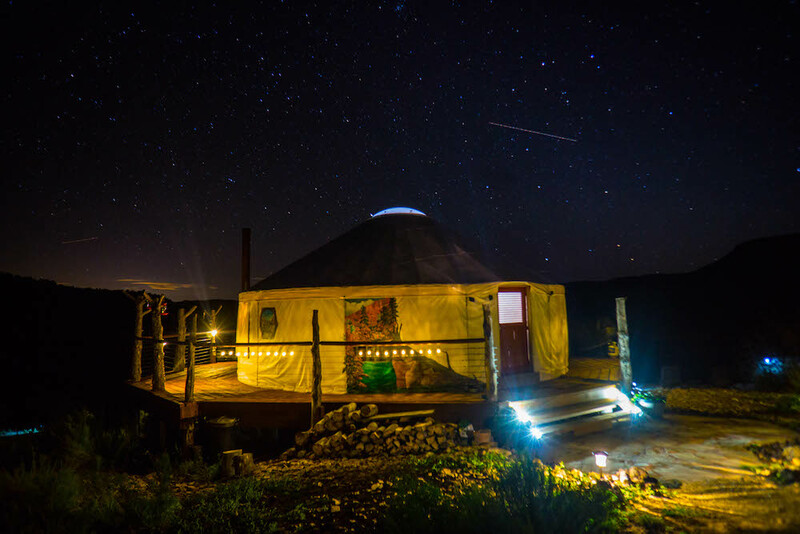 The greatest part of staying in the yurt in Utah’s backcountry is just how in tune with nature it is. Completely off the grid, heated only by burning wood, lit only by a few LED lights at night, I’ve never felt so at peace. 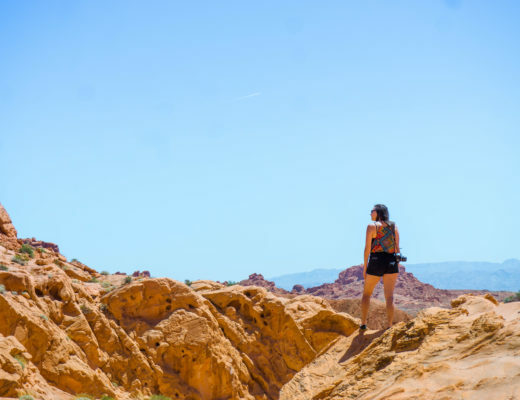 As a blogger and a night owl who does her best work (slash Netflix binge-watching) at night, it can be so hard for me to unplug late at night and go to sleep. Without electricity or wifi to distract me, I certainly didn’t have any problems doing just that when staying in the yurt. 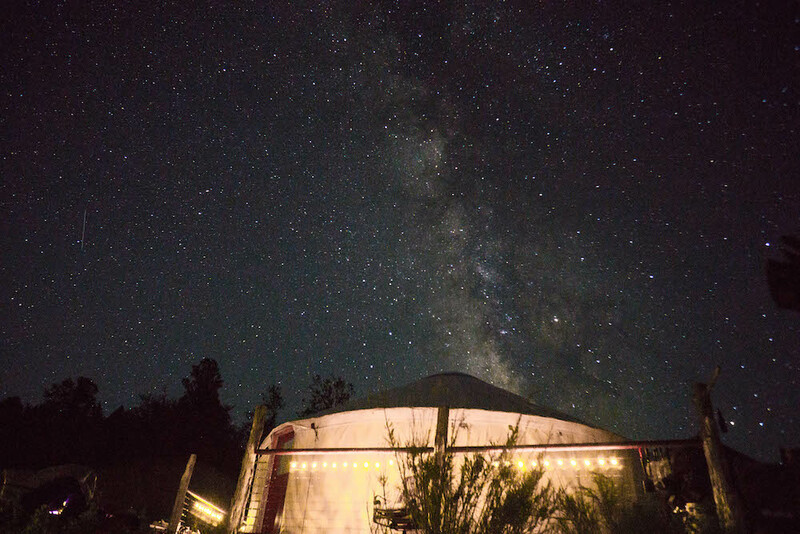 But the absolute best part of staying in the yurt in Utah’s backcountry was when I woke up at four in the morning to use the bathroom only to see the Milky Way glimmering above me for the first time in my life. That’s when I attained yurt nirvana. I’m a self-confessed space geek; I’ve listened to every single podcast Neil deGrasse Tyson has ever put out and probably know more about dark matter than I do about pop culture. 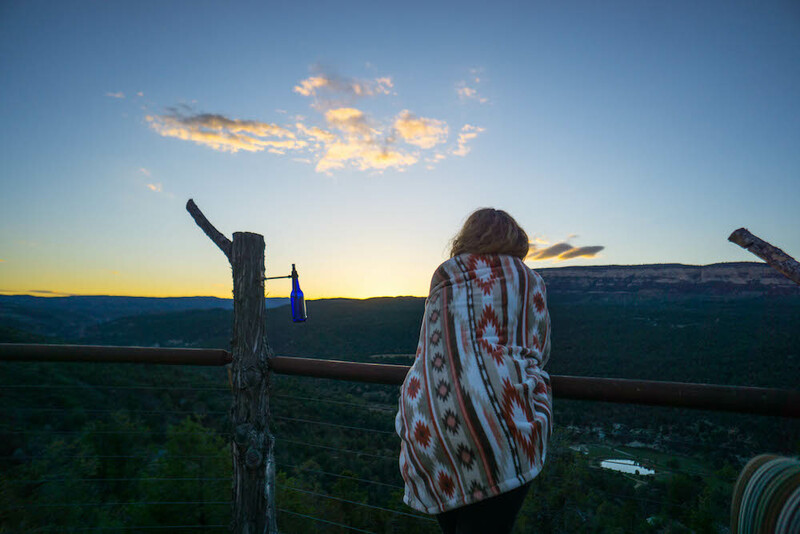 Sunsets were equally magical, stopping everything to watch the sun disappear behind the red cliffs of nearby Zion National Park. Afterwards, I enjoyed the ritual of lighting the torches to usher in the inky night and brilliant stars. Utah, you’re really something special. 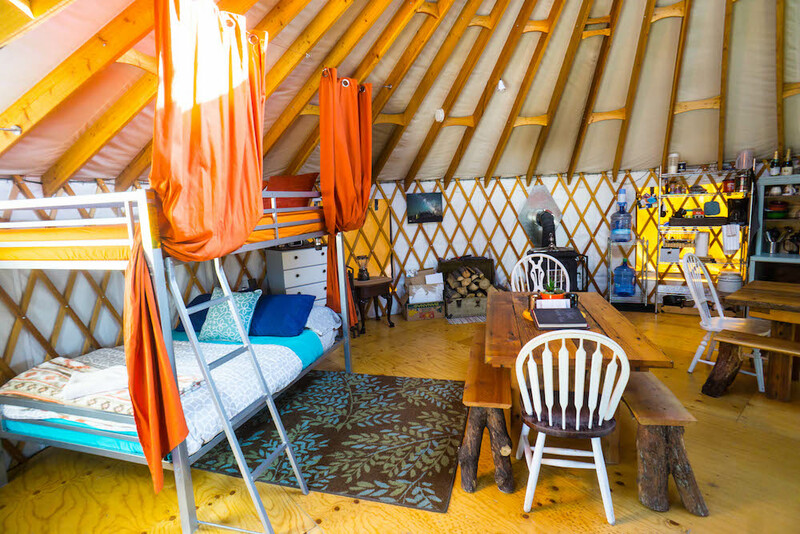 If you want a piece of the yurt action, you’re in luck — it’s available on Airbnb. 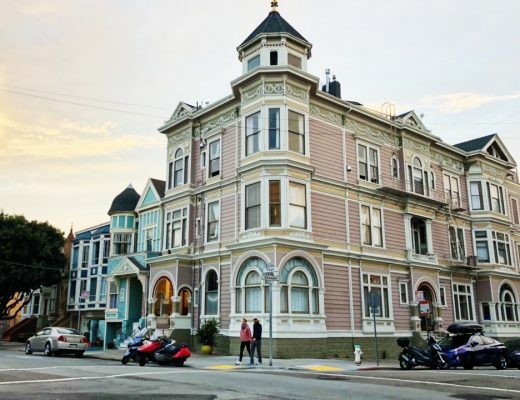 If you’re new to Airbnb, use my link to get $40 off your first stay. Like it? Pin it or share it! 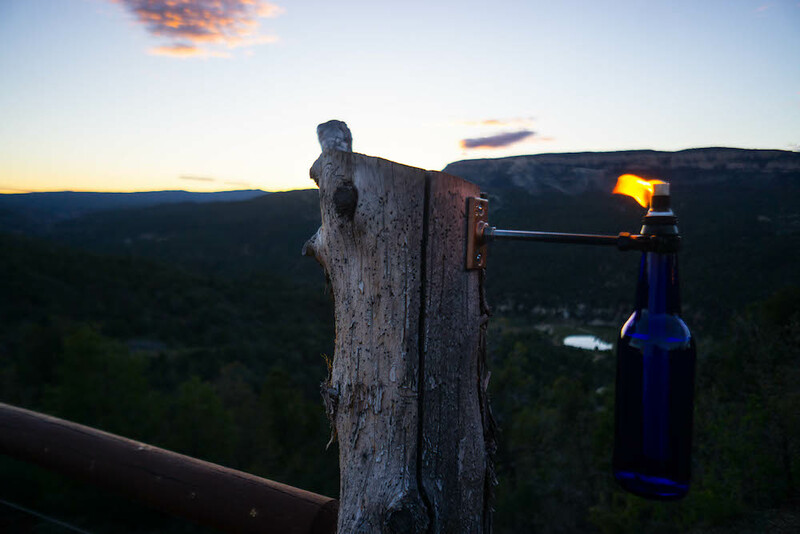 Note: A huge thank you to Zion Backcountry Yurts for hosting me for two nights. All opinions are my own. Yes exactly, it’d be the greatest place ever to get a big group of friends together and unwind! Hope you get a chance to visit soon! I tried to stay here before but they were fully booked. You are lucky! I hope to stay there one day. Oh man!! I hope you get to go back soon, we got SO lucky! 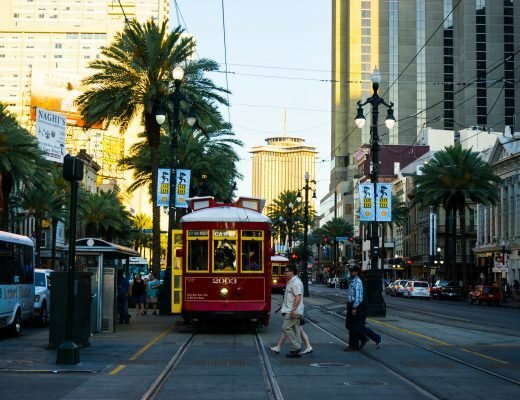 Hope you get a chance to visit one day soon, it’s such an amazing experience! Great photos Allison – I did something similar last month in Victoria, Australia. It was a tonne of fun and really special. It’s a bit mind-boggling to realise that you can’t see the arm of the Milky Way from other parts of the world – I remember being in the Qatari desert one night several years ago, looking at the sky and noticing its absence. It suddenly hit me – of course we see a different part of the sky in Australia, well duh! Just another thing that we took for granted, which became appreciated more than ever. Oh man, now I really need to see the Milky Way in Australia/NZ so I can see how different it looks. My not-so-inner star geek would love that.